Easily fits Aprilaire/Space-Gard models 2200 & 2254. Lasts up to 12 months and no time consuming assembly required. Actual Dimensions: 15.90 x 19.75 x 4.38 in. 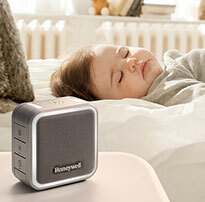 You can improve the air quality in your home substantially with Honeywell's Whole-House Air Cleaner Filters. It's no secret that today's tightly-built homes trap dust, allergens and many more potentially hazardous contaminates. It's also none too surprising that poor indoor air quality ranks among the top five environmental risks to public health. Honeywell Air Filters (MERV 12 Rating) are 60x more efficient than typical 1" fiber glass filters, plus they have the added ability of lasting up to one year. Air filters are also incredibly easy to install and come in accommodating sizes that fit all Honeywell and many Aprilaire, Space-Gard and Trion Air Bear models. Be certain to measure the filters you are replacing or your filter boot to make sure it's an exact match. This is my second order from Honeywell Store for air filters and my orders always arrive when promised. I will definitely continue to order from them. These filters seem to last a not 4 months. They arrive pretty quickly after I order them. The site is user friendly. Works great. Have been happy with it. I love getting the reminders! Ordering online was easy. I have placed this order many times. They arrived exactly when they were supposed to and in great shape. I plan on continuing to purchase this product in the future. I am very pleased with the quality. Great product, fit easy and was packaged properly. I will definitely be ordering more. Price was also very competitive. The filters arrived within the delivery window. We have yet to use these filters, However, the last order seemed to get dirty quicker in-spite of only using Honeywell brand filters with a furnace less than 5-years, which is well maintained. I have used the Honeywell filters for my furnace for over 12 years. They work very well and are shipped to me in a timely manner. Easy to order, arrived in perfect condition, perfect fit... Will definitely re order, as needed. Product was easy to order online and arrived quickly as stated on statement. This filter is great and was delivered as promised. Loved the email reminder that it was time to reorder! Thanks for the reminders every six months. You make my life so much easier! The Air Filter arrived very quickly, well packaged, and in good order! Great service!! As usual the filter arrived in 2 days and was in perfect condition. Easy to order. Very good price. Arrived in a couple of days. Very happy with the service. The product was what was needed and the ordering was simple. The filters arrived on time and the company sends reminders. I get a $5.00 credit for writing this review. Not bad. Filters are expensive for sure, but that's how the dust settles. I'm very satisfied with the quality of the product. Love the reminder you send in six months and promptly send! I have always used these filters. They fit perfectly and trap the dust and gunk great. Since I bought 3 and each one lasts for 6 months, will my coupon be good when I need to order again? As usual arrived on time and was the right item. Just what I wanted. Easy to install. With two dogs inside all the time,this filter is a life saver. This filter works very well in our new Daikin heat pump. 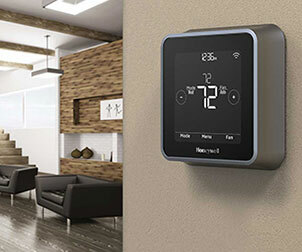 Easy to change out and order a new one online from Honeywell. No fuss or problem doing so. Great product. Cheaper than other online suppliers. We were very happy with the ease of ordering online and received it quickly! Very Good Filter. I've used this type of filter for 2 years and am very pleased with it. Quick, accurate service, great product! I'm so happy with your company bc everyone is so helpful when ordering and the items got here fast as well. Thank you! It was nice to order these three from you and have the pkg delivered to our home. The 1st one is now in the furnace. It went in easily and we have 2 more for future replacements. Thank you! Filters arrived on time and even tho I just replaced the filters, I think they will work great. I love this product! It is very easy to install and the flow of air has been more quiet. I will purchase again. We have purchased these filters in the past and are very satisfied with the quality and price. Very pleased with filter. While it filters as advertised, It does not seem to interfere with airflow throughout house. Love em! Love the reminder, easy transaction! EZ ordering, straight forward website, fast order processing and shipping, great filters. I will order again! We had difficulty finding the size filter in our area and turned to Honeywell. It arrived in good time, and fit correctly. Very good filters and recommended as per my HVAC guy. Tried other brands but the fit isn't as good and the shipping through Honeywell was outstanding. Will continue to buy from Honeywell Store. The filter was fitted well! Price is good! Will do business again!. I believe in this product and I couldn't be happier with my choice. Consistent use over a period of several years. Definitely catches the dust and particles. Easy to order and appreciate the reminder. They work well and they were sent posthaste. Satisfied customer. I ordered the filters and it was an easy process as they came fast and it was a pleasure. Fit perfectly and served its purpose. I try to buy 2 so I always have one in stock. Easy website to order from and quick shipping of order. Great service! I shopped at a number of websites for this filter. The Honeywell Store provided the best price. 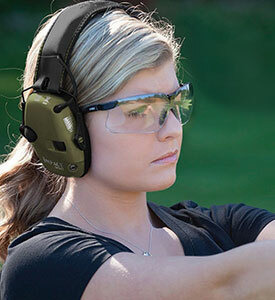 There is a noticeable difference between the Merv 11 and the Merv 12, more dust free. As far as I can tell these are genuine and are the same size that of the ones my installer provided but with a higher MERV value. I received a great product for a better price than from any online supplier. Plus it was shipped to my door in a couple days. Thank you Honeywell! The price of these filters is what attracts us. If we order them through our service technician, we pay considerably more. This filter does the trick and the ordering and shipping process was easy. We have used Honeywell filters for our air/heater for over four years and have never been disappointed with how efficient it keeps our unit. 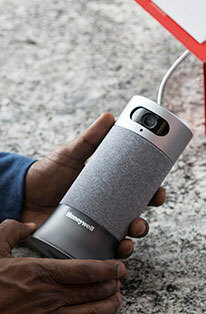 Ordering online at the Honeywell store is such a convenient and swift process it makes taking care of my home easy and painless. We received exactly what we ordered in a timely manner. Very pleased and will order again from this site. Very pleased. Ive been buying this filter for my furnace for about three years running so far and have never had an issue with failure or fit into the space. It is a direct replacement that is consistent. What more could you ask? Very good at controling amout of dust in our home. Just got a new heating system and installer recommended buying filters on line. Site fairly east to figure out. Surprised and shipping cost. Product arrive in good condition and on time. I went to the Honeywell filters about 8 years ago when we upgraded our cooling system in our home. Our system has to be pretty efficient to heat and cool 3,200 sq. feet. The filter is so great that even when I forget to change it on time, it holds up well and does the job. Impressive! I BOUGHT TWO 4 FILTERS, THEY WERE DELIVERED TO OUR BUSINESS IN ABOUT 10 DAYS SO YOU HAVE TO PLAN AHEAD A LITTLE. BUT IT FIT PERFECTLY, AND NOW I HAVE A SECOND ONE FOR THE NEXT CHANGE. Honeywell from here on out! We are very pleased with the Ultra. It is doing a great job, there is a noticeable difference in the air quality. We are very pleased with the Ultra. It is doing a great job, there is a noticeable difference in the air we breath and little dust. Does the job and fits perfectly! Online order was easy. Customer service contacted me right away when the quantity I ordered could not be filled. Next day. I was notified of new shipment that could fill my order. Communication was great and full order was filled and received in about 5 days. A++! This filter is not the correct measurements that were advertised on the website, and so does not fit in my filter. Very disappointed! We are terribly sorry about this inconvenience. One of our CSR will call you and issue you an RMA number. We will measure the item when it returns to see what the issue is. Because of your inconveniece we will waive any restock fee. Very good product. Excellent fit. Every filter I purchased before was smaller than posted size. Honeywell filter is the perfect size. There are no gaps around the filter. Very good product...they last about a year, in my experience.